The science writer Douglas Starr has made something of a specialty of blood. 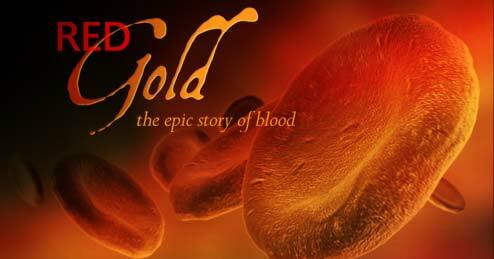 His book, Blood: The Epic History of Medicine and Commerce, and the PBS documentary series it inspired, Red Gold, cover the waterfront on this vital component of life, and our relationship to it. The PBS website has a great discussion guide that sums up the topic impressively, and includes a timeline of important developments in our evolving relationship with blood. Blood: It’s strange that this most familiar of substances has always been so laden with feeling, so heavily freighted with mystery and symbolism. Consider the vocabulary: blood of our fathers; blood of Christ; the nation’s blood; lifeblood; blood brothers, blood sacrament, blood libel.…The history of blood involves not only medicine, but also culture and religion. It is a story of change — how a mysterious liquid became a global commodity and reflected the soul of each society that used it. 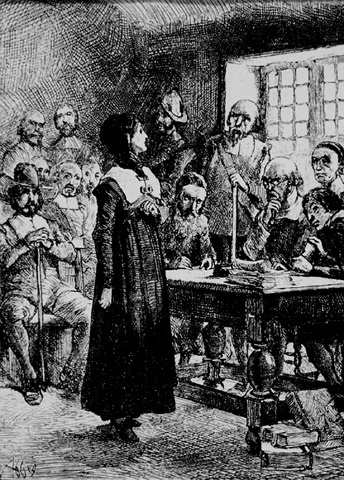 Anne Hutchinson, an early Boston, Mass., midwife, was a brilliant and original thinker and an ardent defender of the right of the individual to make up her own mind. Hutchinson and her family followed their minister, John Cotton, from Boston, England, in 1634. She was a prominent member of her Puritan community in the Massachusetts Bay Colony and a highly regarded midwife, who reportedly attended women in birth free of charge. Religion was a major focus of her life, but Hutchinson claimed the right to forge her own relationship with God. She soon ran afoul of the Bay Colony's authoritarian leaders, and was charged with heresy. 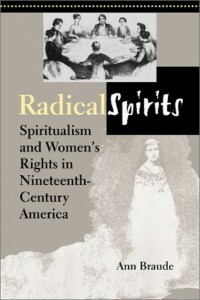 Hutchinson's major claim to fame lies in the brilliance with which she defended herself in civil and ecclesiastical trials. At the time of her civil trial, presided over by Governor John Winthrop, she was 46 years old, the mother of 14, and pregnant. During the trial, the governor called her an "American Jezebel." In 1638, Hutchinson was found guilty and sentenced to banishment to Rhode Island just four years after her arrival in the New World. The leaders of the Massachusetts Bay Colony were so shaken by the quality of both her theological and legal arguments that they determined to educate their religious and civil leaders to withstand future assaults on their authority. That determination became part of the mission of Harvard College, which had been founded in 1636. After Anne's husband, William Hutchinson, died in 1642, she left Portsmouth, taking her youngest children to the area now known as the Bronx, N.Y., then held by the Dutch. The Hutchinsons unwittingly walked into a bloody altercation between the Dutch and Native Americans that became known as Kieft's War. In 1643 Hutchinson and several of her children were murdered by Indians. 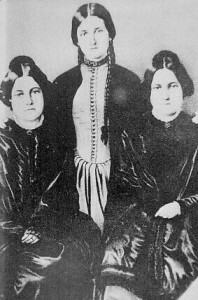 When word of Hutchinson's death reached Boston, the church bells reportedly pealed for a full 24 hours with joy that God had finally taken retribution on this troublesome woman.